On the Internet, its all too common to see people run expensive promotions and pay big bucks for great sales copy all in hopes of enticing hordes of hungry customers to buy their products. That will beat that huge investment of time and money, hands down every time! What does a virus have to do with marketing? Viral marketing is a simple strategy that encourages people to pass on your marketing message to friends, family and coworkers, creating the potential for exponential growth, exposure and influence. Like viruses, this strategy takes advantage of rapid multiplication to explode the message to hundreds even thousands of people in a short period of time. In the offline world, viral marketing is often referred to as word-of-mouth, creating a buzz, or network marketing. While online its called viral marketing. The term viral marketing has taken the Internet by storm, literally! * Something that you are willing to give away for free. * It should be easy for people to share what you give them with others. * It should contain something that people are excited to share with others. Viral marketing can be used to build awareness, get targeted traffic and improve your sales. This short course is designed with beginners in mind, so even if your readers have never heard of viral marketing they will be able to quickly grasp the concept and start their own campaign fast! The best part is with the private label rights to this course not only will you be able to learn how to start or improve your own viral marketing campaign, you will be able to pass that knowledge on to your subscribers. Youll will be providing them with quality information that will help them build their businesses and build your own at the same time. The course is completely customizable. You will be able to add in your own contact information, product and service recommendations and links to your favorite affiliate programs. Im even including a ready to go to squeeze page confirmation page and sales page, so that you can get set up quickly and easily! What the different types of viral marketing are and why a true viral campaign gets forwarded. How you can effectively use email to achieve your viral marketing objectives. Why its important to create a buzz before your new product even hits the market! How you can use ebooks to really go viral and how to do it without writing a single word! How you can use online forums as a big part of your Viral Marketing Crash Course! 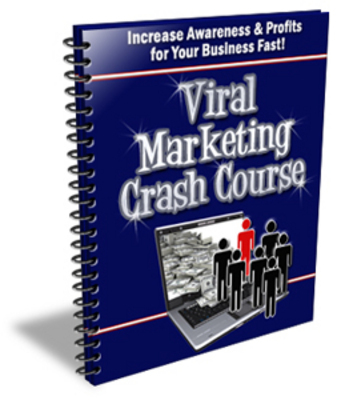 Whats Included in the Viral Marketing Crash Course? Viral Marketing Crash Course PLR viral marketing crash course 58044856 7.00 satyuga Fresh Download Available!